Like last week there appears to be no mainstream Hollywood film dominating the new DVD and Blu-Ray releases this week, but there are still some interesting choices to be had. 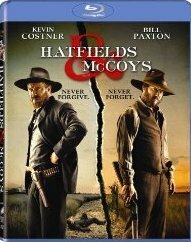 Several films from the Marilyn Monroe catalog are re-released today, plus the Kevin Costner cable TV mini-series, Hatfields & McCoys comes to the stores, and look for Arnold’s Total Recall. In anticipation of the new Colin Farrell version that hits theatres across the country this weekend, the original 1990 Paul Verhoeven version is given the Blu-Ray treatment and re-released today. Here’s a closer look. You may notice a lot of Marilyn Monroe on the DVD shelves from today. Her catalog of work is spruced up and re-released on Blu-Ray including The Seven Year Itch, a comedy based on the play by George Axelrod where Tom Ewell flirts with the voluptuous new neighbor who has just moved in to the apartment above. Itch was never Monroe’s best film – arguably that was Some Like It Hot – but there is a lot of fun to be had here, plus this is the film that contains that iconic image of Monroe standing on a subway grate while her white dress rises, billows and flaps around her. The film is worth watching for that moment alone, though at the time, Monroe’s husband, Joe DiMaggio, is said to have been less than thrilled. 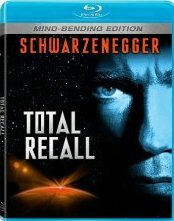 At the end of the week, the new Total Recall hits screens, but just in case you’re feeling nostalgic for the original, Blu-Ray has now re-released a crystal clear version for hi-def TVs. In 1990 the film was a major blockbuster hit for Arnold Schwarzenegger and made a star out of Sharon Stone. Despite taking place on the planet Mars for most of its running time, the film always felt strangely earthbound. It wasn’t easy to pretend we were on the red planet when everything look like a studio set, but audiences didn’t seem to care. You can now re-live that 1990 movie-going experience with a Blu-Ray disc, or you can wait for the weekend for the new Colin Farrell/Kate Beckinsale version.